James Quigley, 37, died in 2012 at a construction site on the far south side of Chicago. Officials said Quigley was one of a team of workers who were putting in a steel beam for a bridge when the beam slipped and fell on his head. The accident occurred in the Hegewisch neighborhood. Although Quigley was transported quickly to a nearby hospital, he was pronounced dead there. This tragic accident is one of many that occur all too often at construction sites in the Chicago area. Construction work is one of the most dangerous and hazardous jobs in the world. Even though conditions at construction sites are regulated by the state of Illinois and the federal department of Occupational Safety and Health Administration (OSHA), accidents frequently occur. In 2010, more than 10,000 construction workers were injured as a result of falling while working from heights. More than 250 workers were killed in falls that year, out of 774 total fatalities, according to one OSHA report. OSHA has advised employers on ways to keep their sites safe by taking three steps: plan, train and provide. PLAN. Employers are asked to examine a work area before any employees arrive, paying particularly close attention to the use of ladders and scaffolds. They should be aware that any work done on a roof is especially hazardous. Supervisors should begin by deciding how the job will be done, what tasks will be involved, and what safety equipment may be required. When estimating the cost of any job, contractors should include necessary safety equipment and plan to have all the equipment and tools available at the construction site at all times. TRAIN. Every employee at a construction site should be trained to use equipment safely. According to OSHA, injuries can be prevented when workers understand the proper use of equipment. Supervisors must also train employees in the use of scaffolds, ladders, fall protection systems, and any other tools they might encounter on the job. PROVIDE. To avoid falls, which are often the cause of serious work injuries, employers are required to provide personal fall arrest systems. Workers who are six feet or more above ground or other surfaces are at risk of injury or even death in the event of a sudden fall. Those working in construction know the risks that cause death or injury to hundreds of thousands of workers in the United States each year. All around us in Chicago we see new construction rising in the Loop and to the far reaches of the city. These Chicago construction workers are subject to many risks of on-the-job injury. Being exposed to dangerous chemicals or gases. Many construction sites are not as safe as they should be. 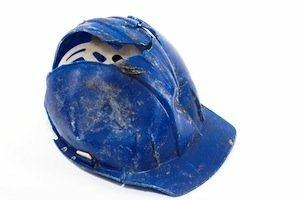 Many construction site accidents can be prevented if the developer/owner were to enforce safety practices. And while this isn't always the reality, each site has to be properly managed in accordance with legal standards, including Illinois law and those of OSHA. If you have suffered an injury at a construction site, it is possible that OSHA has already investigated the very problems that led to the incident. Although it is not easy to get OSHA information, our lawyers have experience in handling these cases and are able to collect all of the important information to place responsibility with your developer/owner. If you have been involved in a construction/workplace accident, please contact us. Kreisman Law Offices has more than 40 years of experience in the workplace injury and construction site accident cases. If you or someone you love has been injured or killed in a construction site accident, please call us 24 hours a day at 312.346.0045 or toll free 800.583.8002 for a free and immediate consultation, or complete a contact form online.